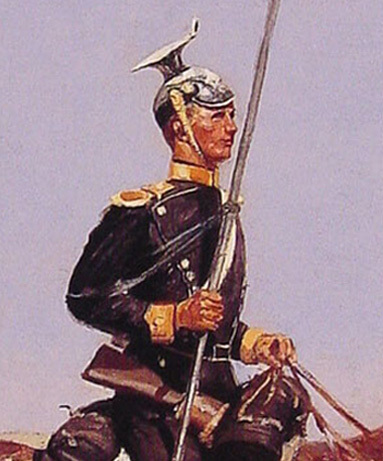 An Uhlan with lance and cap. Detail from a painting by Frederic Remington, c. 1892. Private collection. We have no lace today, dear reader. No clothes for dolly. No pert little caps for traveling, or wee small jugs, or silk handbags in the shape of tropical fruit. No. Today we're deserting the boudoir for the wild woods, the field of battle, the deck of a storm-tossed ship. 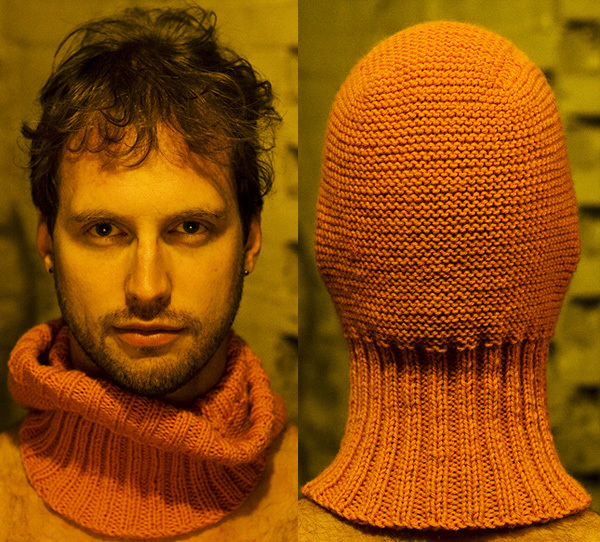 We're looking at a piece of truly badass knitting. Knitting that spits in the face of danger, cold, and mal de mer. 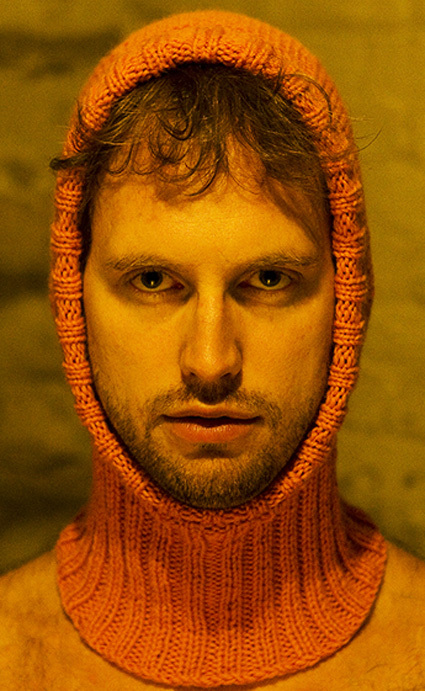 Or would, if knitting could spit. Maybe I should write that it sheds in the face of danger, cold, and mal de mer. Not so fierce, but accurate. Well, a hat plus a scarf, really. Plus earmuffs, kind of. And it's not called a hat, it's called a cap. Unless it's being called a helmet. And it's sort of Polish. Unless it's Prussian. Or possibly British. And sometimes it gets confused with a dessert. Are you with still me? 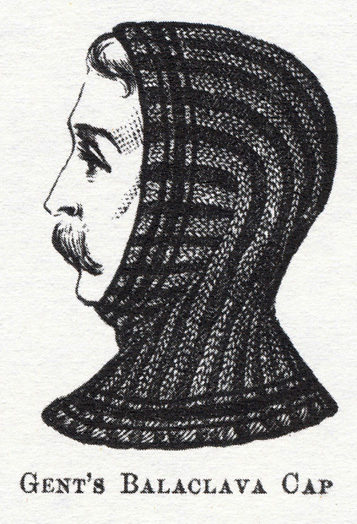 The headgear in question is the "Uhlan Cap"* from the 1903 edition of the Columbia Yarns Knitting and Crochet Book. It appears in a section entitled "Seaman's Outfit" -- practical pieces meant for those who go down to the sea in ships. In the decades on either side of 1900, it wasn't uncommon for general collections like Columbia's to include patterns for sailors and, in times of war, for soldiers as well. The Uhlan cap is designed for service, not style. It snugly covers the entire head, with the exception of the face, and crawls right down the neck as well. It can be pulled down off the head to keep only the neck warm; or it can be rolled up from the bottom to resemble a watch cap. ** It won't fly away, even in a stiff wind -- a feature that I, as a resident of Chicago, appreciate to no end. Why it should be called an "Uhlan" cap is unclear. At least to me. At least after as many hours as I could devote to trying to find a reliable answer. The Uhlans were a lance-bearing Polish light cavalry, founded in the 18th century. In the 19th century, armies of other European nations began to adopt "uhlan" as a descriptor for their own regiments of lancers on horseback. However, the distinctive cap of the Uhlans -- a helmet from which sprang a contraption that looks like a cousin to an undergraduate's mortarboard -- bears no convincing resemblance to the knitted Uhlan cap. You can imagine it being very useful for a solider on a horse -- even if you fall off, it won't. But I couldn't turn up a single contemporary reference to, or image of, an Uhlan (or even an uhlan) in an uhlan. To complicate matters, I realized that other English-language sources from the same time offer knitting patterns for the same (or a very similar) style of headgear,*** under the name "Balaclava Helmet." Balaclava helmets and Uhlan caps look remarkably similar, the only common difference being that balaclavas -- most of those I saw, anyhow -- can be arranged to cover the face (rather like a ski mask, or modern helmet liner), and Columbia's Uhlan Cap cannot. The balaclava helmet seems to have taken its name, retroactively, from the Battle of Balaclava**** in 1854. British women are said to have knit them for soldiers braving the cold weather of the Crimea, but Richard Rutt (in A History of Hand Knitting) insists the use of the name didn't appear in print until 1881. Of course, my copy of Rutt's book also gets the date of the battle wrong by ten years, so make of that what you will. None of which matters, of course, since what I was actually looking for when I found all this stuff about balaclava helmets was information about Uhlan caps. But all I found out about Uhlan caps is that apparently nobody thinks they're funny; and that you can also call them "Templar caps." That compelled me to dig into all sorts of works about the Knights Templar. Turns out their hats didn't look anything like Columbia's Uhlan Cap, either. And that's when I decided that for the next issue, we're just going to knit a damned pair of gloves. See you in December. *Pronounced OO-lahn, oo-LAHN, YOO-lahn, or yoo-LAHN. You pick. Because apparently nothing about this frigging hat dwells in certainty. **An arrangement I declined to photograph because it looked completely idiotic. ***Lots of footnotes in this one, eh? ****Apparently, "balaclava" is also sometimes incorrectly used to denote baklava, a Middle Eastern dessert that combines pastry, nuts, and honey. Like a balaclava, baklava will stick to your head; but it offers little protection from cold or wet weather. To recap: you wear a balaclava, you eat baklava. Unless you like the idea of eating your hat. *****In one particularly true-to-life moment, young Adrian records his grandmother's Christmas gift of a homemade balaclava by writing "Yuk! Yuk!" in his diary. Ouch. To pick up stitches: insert tip of right needle into the bump of the purl ridge at the very edge of the work; do NOT knit this loop. This method avoids creating a ridge along the edge, making the hat more comfortable. To pick up and knit stitches: insert tip of right needle into the edge of the work, wrap the yarn around the needle as if to knit, and pull up a stitch. See this column from Teresa on picking up vs. picking up and knitting stitches for more information. Work in garter st (k all sts) for 28 ridges (56 rows). Turn work. With free end of ndl (that is, the end without the working yarn), beginning at CO end, pick up (see Pattern Notes) 25 sts along right selvedge. 45 sts. Turn work and k across all sts. As before, without turning work, use free (yarn-less) end of ndl to pick up 25 sts along left selvedge. 70 sts. Work in garter st on all sts for 35 more ridges (70 rows). Using Knitted CO, CO 26 sts at the start of the next row. 94 sts. Ribbing round: [K2, p2] around. Work as set for 34 more rounds. At this point, the hat is reversible. Decide which side you prefer - this will be the RS. With RS facing, beginning at any point that suits you, pick up and knit 116 sts evenly distributed around front opening. Join for working in the round, and place marker to mark beginning of round. Work as set for 15 more rounds, or until ribbing is 2 inches deep. Weave in ends. Soak and gently block, taking care not to stretch ribbing. Allow to dry completely. 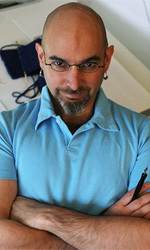 Franklin Habit is the author of It Itches: A Stash of Knitting Cartoons (Interweave Press) and proprietor of the popular knitting blog The Panopticon. He was drawn to the Uhlan Cap in part because he grew up on a military installation near Pearl Harbor, Hawaii; and ever since has had an unshakeable fondness for seamen. Pattern & images © 2012. Franklin Habit.